Review published in IJPE, Vol. 3, No. 3, July 2007, p. 394.
ers have been slow in adapting to new probabilistic methods developed in other disciplines for economic and reliable designs of systems. Higher safety factors do not necessarily lead to reliable and safe designs. They also often tend to either over-design cost-wise or under-design reliability-wise. In that context, this is a good book and should be read by all civil engineers. 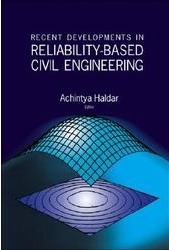 However, this book, as the editor claims in his preface, covers some of the most recent developments in reliability-based civil engineering analysis and design and the chapters are authored by some of the most active scholars in their respective areas, representing some of the most recent research, upcoming interests and challenges to the profession. Although probabilistic designs is not a new subject, particularly to mechanical engineers who have been using FORM, SORM and simulation methods in their design of mechanical structures, members, pressure vessels etc and excellent books have been produced earlier, particularly in structure analysis and designs. The subject of design against corrosion is also been quite advanced in the area of mechanical systems and structures. One of the authors, Melchers had produced several papers and books on the subject, yet not all areas of civil engineering have accepted the etiquette of designing systems and members using probabilistic considerations. Civil engineers traditionally have been following deterministic procedures for a long time, taking recourse to safety factors. This book, therefore, is welcome to fill in the gap and to promote probabilistic school of thinking in design and analysis in civil engineering discipline. The editor has tried to cover structural members in civil engineering discipline such as off-shore structures, bridges etc. but foundation engineering and structures like dams, high rise buildings (including fire hazards) etc have not been discussed upon adequately except in chapter 4 for a specific application. Design of civil structures against seismic effects is one of the important area of research and has found place in the book in one chapter. Fatigue analysis and design is well developed in mechanical engineering discipline including aerospace application area but not so in civil engineering discipline. Chapter 7 does not attempt to discuss it for civil engineering applications. One of the interesting topics is on mesh-free methods discussed in one of the chapters. The examples of low probability and high consequences events are earthquakes, volcano eruption, and tsunami etc from the natural causes and nuclear accidents from the man-made systems and nuclear reactor domes in highly congested countries such those in Europe, particularly those plants which fall in the air corridors of commercial planes, have been often designed to withstand the impact of an aeroplane colliding with the reactor buildings accidentally. But the reviewer doubts if World Trade Centre tragedy can be put in the category of low probability and high consequences. It was a deliberate terrorist attack which is a new phenomenon and requires different strategies to be used. Did the structure fail due to intense heat beyond the design criteria or something else? Till then it can be summarily called as low probability and high risk event. Risk acceptability is a very wide area of discussion and has very wide connotations. The editor has tried to deal with it briefly in two chapters. In short civil engineering discipline has a long way to go before they are able to effectively use stochastic analysis and design procedures for their systems. This book attempts to broach this discussion and indicates to promote these concepts in civil engineering discipline. The book can be used by postgraduate students, teachers and practitioners, who would like to know more about the subject. The reviewer would like to recommend this book to all civil engineers in order to accelerate the process of using probabilistic tools for civil engineering problems so that their design could become economic and optimal. Review published in the International Journal of Performability Engineering, Vol. 3, No. 3, July 2007 , p. 394.